Staff at a London motorcycle dealership looked star struck when Brad Pitt walked in to their showroom today. 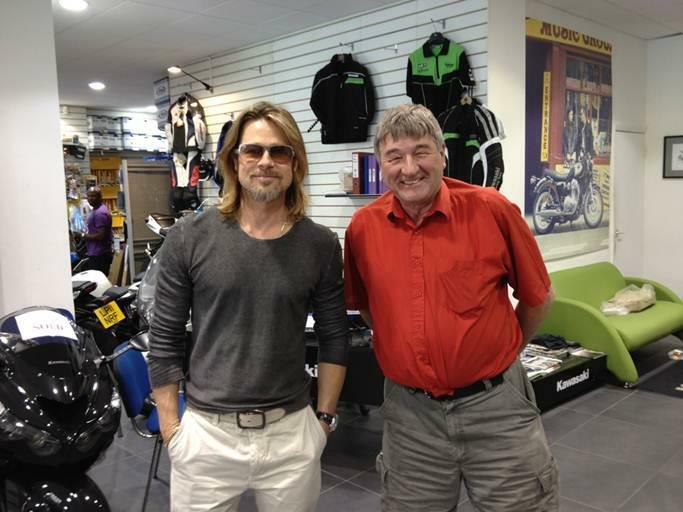 The actor popped into HGB Motorcycles in Ruislip and bought a Bell Helmet and Alpinestars Kevlar gloves before posing for pictures. The Hollywood star has a house in Surrey with his partner Angelina Jolie. Angelina Jolie is reported to be planning to buy Brad Pitt a new Ducati for his 45th birthday.